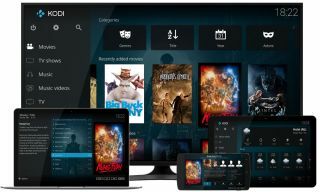 For a while now it’s seemed that the sun is setting on the operations of pirates who have been using the Kodi media center platform as a means of distributing copyright protected content. Now what may have been a landmark case in the UK courts with regards to Kodi piracy has come to a close with more of a whimper than a bang. More than one year after his initial prosecution, Middlesbrough-based seller of ‘fully-loaded’ Kodi boxes, Brian Thompson has been given an 18 month prison sentence that’s suspended for two years. After his shop was first raided by police and Trading Standards in 2015, Thompson declared his innocence and seemed intent on relying on the fact that the legal waters around streaming piracy are notoriously murky to walk away from the charges. Thompson’s case was set to be one of significance for the UK courts and it seemed likely that he would be used as a warning to other pirates if found guilty. However, just one month ago, Thompson changed his plea to one of guilty and his trial was cancelled as a result. Though it was never made clear why Thompson decided to change his plea, his legal team did say that “an exchange of correspondence in the case” had occurred. Given the sentence that has now been handed to Thompson, it seems likely that a more lenient sentence was offered in exchange for a revised plea. Thompson was not the only ‘fully-loaded’ Kodi box seller sentenced on Friday. Owner of Middlesbrough-based Geeky kit, Julian Allen, also avoided jail time, receiving a 21-month prison sentence suspended for two years. Given the fact that cases of copyright infringement have been known to result in extremely harsh sentences, these suspended jail-times are surprisingly lenient. That said, a clear message has still been sent. Although Thompson has not been made an example of in the way that many thought he would there can now be no doubt in the mind of those profiting from the sale of fully-loaded Kodi boxes that their actions are illegal and that the consequences won't be avoided.